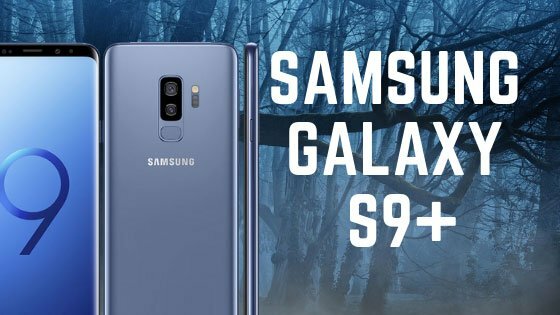 This guide will help you to install Android 9.0 Pie Official Firmware on Galaxy S9 / S9+. Since the official launch of Android Pie by Google, Samsung Galaxy users have been eagerly waiting for their device to get updated. Samsung Firmwares are heavily skinned with Experience UI, so it’s quite reasonable that the brand needs more time for releasing a new update. However, we have a leaked version of Android 9.0 Pie for Galaxy S9 and S9+ which is supposed to be internally released by Samsung for testing purpose. But this update is specific to the Qualcomm Snapdragon variants only. We are sure that there is something for Exynos model too, but unfortunately, it’s not leaked yet! So, if you are an Exynos user, please be patient for the official release. We will post in our site instantly once we get the firmware. Anyway, for a full tutorial on how to install Android 9.0 Pie official firmware on Galaxy S9 and S9 Plus, read ahead. Apart from the full Google bundled Android 9.0 Pie features, this firmware also comes with the latest Samsung’s Experience 10 skin. Despite being a leaked firmware, there are a lot of new things that are working fine. Moreover, the stock applications are revamped, support gesture, and a new recent screen. Now, before proceeding to the tutorial, we would like to inform you that this is a test build by Samsung, which may contain some issues and bugs. Within this test firmware, there are a lot of changes and improvement. Apart from the system upgrade, this build comes with a new user interference of Samsung, thanks to the Experience 10. Further, the stock applications are modified for better performance. That’s not all; there are a lot more features which you will get to know once you start using Experience 10 on your phone. If you are completely unsure about what’s new in Android Pie, check out this factory version for a quick overview. To make sure about your device model, go to Settings option > About phone > Model number. Once you are sure that you made a complete backup of your necessary documents, you can move ahead to the tutorial below and update Galaxy S9 / S9+ to Android 9.0 Pie Official Firmware with the latest security patch. Have fun playing with the major system upgrade. You can try out some Xposed modules, or you can even try Magisk utility to modify your device in the way you like. Hey, I have 960U1; will this firmware work on my phone ? So, it won’t work on your 960U1. Does it work with SM G9650, snapdragon model? No sorry! Pie is still not available for SM G9650 officially. Portuguese to English translate: Hello, the firmware of my Galaxy S9 Plus is G9650ZCSARL1. What is the correct file to download to upgrade to Pie? Android 9.0 Pie official firmware is still not available for Galaxy S9 Plus model number G9650. Hope, Samsung would release it soon, and I will update this page as soon as I get the link.